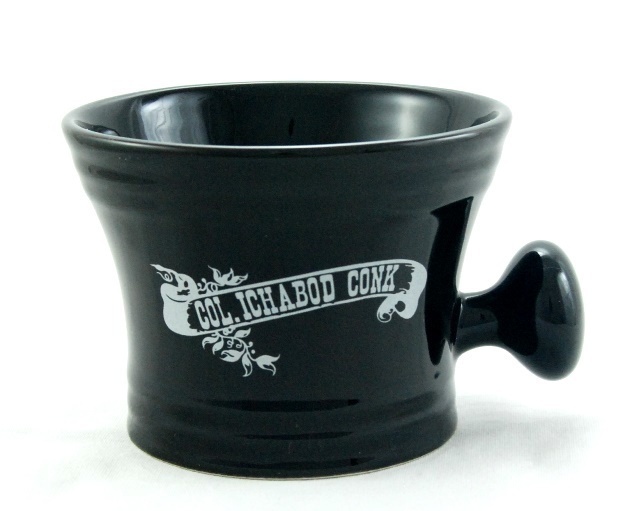 This old world classic shave mug has a rich gloss black glaze complimented by a silver grey decal. A slightly flared top gives plenty of room to work up a lather. It has an easy to grip knob handle and was designed to fit a man's hand. Col. Conk 2.25 oz. shave soap included (scents will vary). Boxed.